At Insurance Advisernet we value our relationship with you more than anything but sometimes we know it's nice to be able to do things in your own time. That's why we've created an easy-to-use online portal that's available 24/7 from your mobile or desktop. Generate and download a Confirmation of Insurance Certificate. View all up-to-date insurance summaries - see what policies are in place, and view summaries of cover. Report an incident that might need a claim - get the conversation started if you think you might have a claim, and provide some info to your adviser. We'll be adding even more features as we go too, so it will only get better and better. Access is easy. You can login here or from IA's website, your adviser's website, our social media feeds or directly from the Insurance Advisernet app. You'll also find links in some of our e-documents and email signatures. 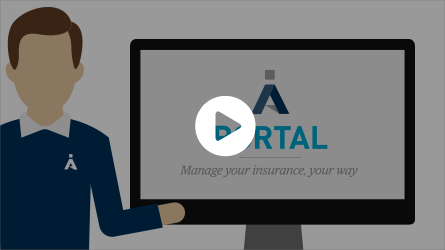 Watch this short video to find out how the IA Portal can help you and your business.